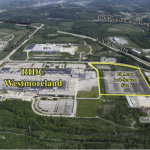 RIDC Westmoreland Rail Site - Carload Express, Inc.
Carload Express, Inc. We are a leading shortline railroad and transportation company serving Pennsylvania, Ohio, and the surrounding region. 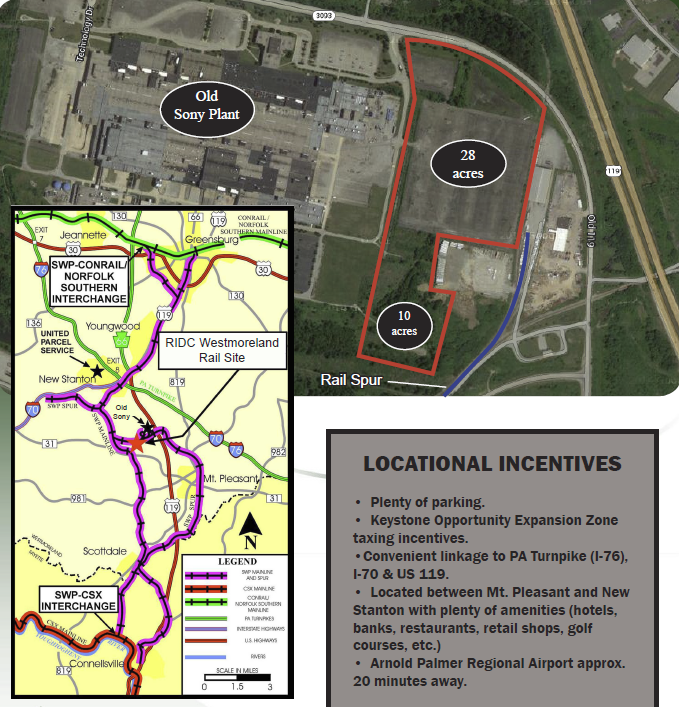 Rail-served property as part of the attraction and growth of a regional employment center located near New Stanton, RIDC Westmoreland is the county’s priority economic development project. 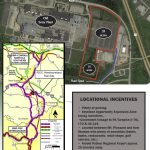 The building, containing a total of 2.8 million SF and situated on approximately 330 acres of property, has been transitioned into a multi-tenant environment. 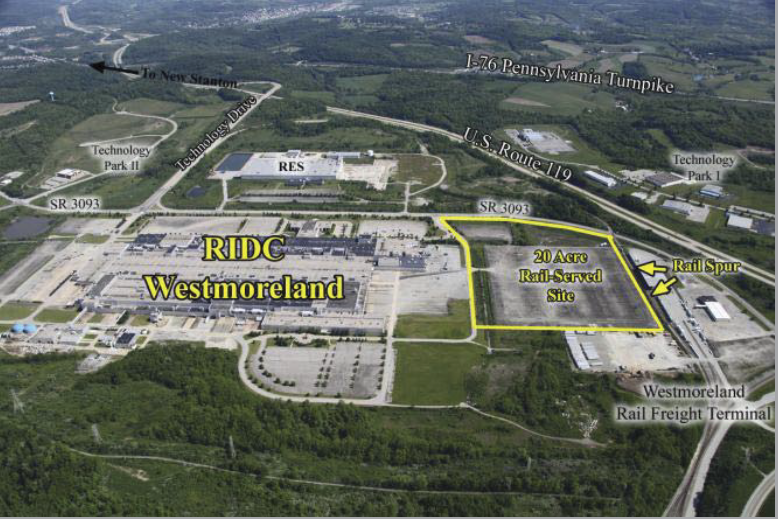 The track lines feeding this property is owned by Westmoreland County, operated by Southwest Pennsylvania Railroad. Other rail scenarios are available. Sign up to our MailChimp Customer Email List! © 2019 Carload Express, Inc.. All Rights Reserved.